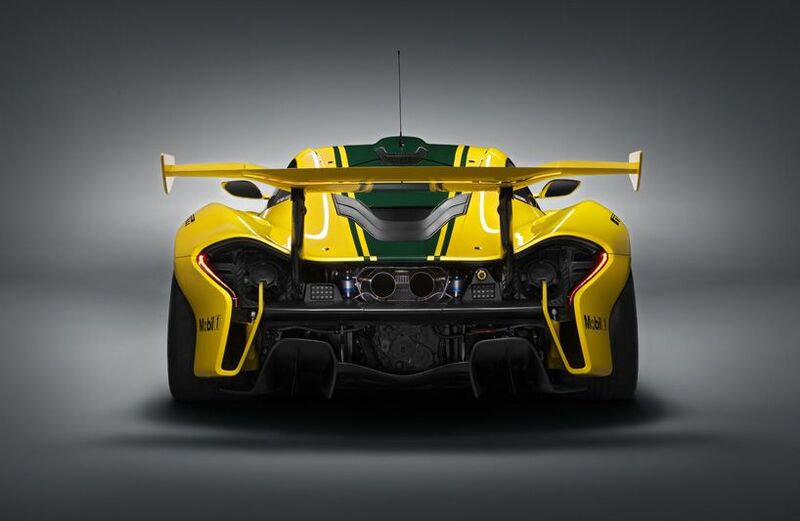 Following its visionary debut at the 2014 Pebble Beach Concours d’Elegance, the track-dedicated and limited numbered McLaren‘P1 GTR ™ has transitioned from concept to production in time for the 2015 Geneva Palexpo Motor Show which is open to the public on the 5th of March. As well as appearing at the up coming international automobile exhibition in geneva, the P1 will be joining the company’s driver program that starts at the spanish Circuit de Catalunya later this year. 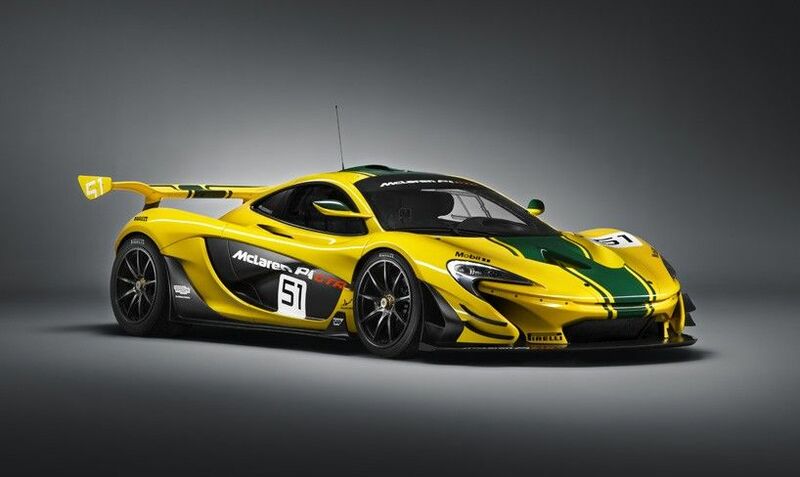 The P1's colour choice was very deliberate throwback to pay respect to the yellow and green F1 GTR chassis #06R (specifically the Harrod's-liveried chassis #06R) that dominated the 1995 24 hours of Le Mans 20 years ago. 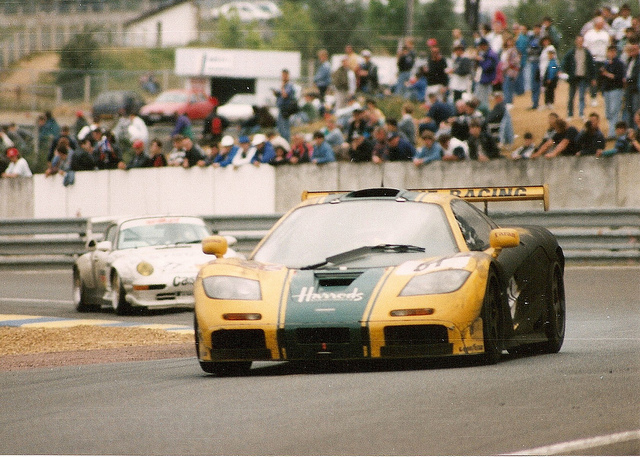 The Harrods-sponsored #51 was famously one of seven McLaren F1 GTRs to compete at the 24 Hours of Le Mans in 1995, and was driven to the final podium position by multiple Le Mans race winner Derek Bell, his son Justin, and Andy Wallace. It completed an extensive and intense schedule of track-testing around the world. This has enabled the engineers to optimize its aerodynamic performance as well as cooling, with a few but very noticeable modifications. 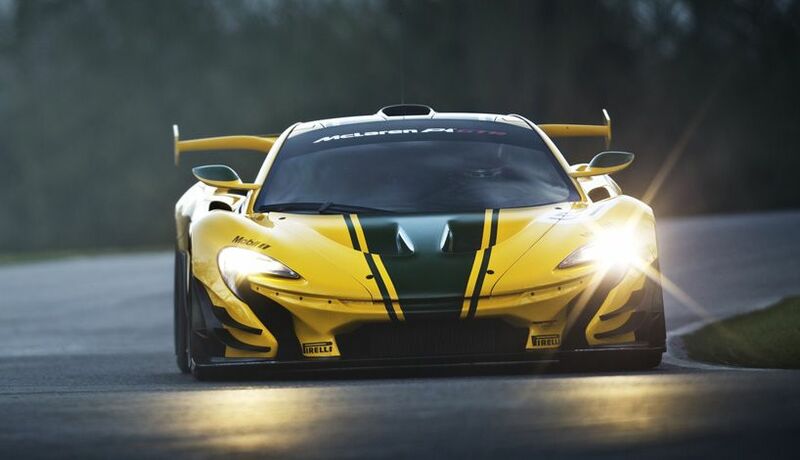 At the front, the mod differences between itself and the road-going ‘P1′ are clear to see because of the wide track, aggressive profiled splitter and sleek air-flow blades. Mounted on light weight carbon fibre pylon supports, the wing retains the DRS (Drag Reduction System) of the road car, which trims the pitch from 32° to 0° at the push of the button on the steering wheel. Sporting Pirelli slicks. Its is recognizably 50mm lower and works with a fixed-height wing that sits 40mm above the rear body that acts cohesively with the front-mounted smooth flaps, in order to increase its downforce levels by more than 10%, reaching specs of 660kg at 150 mph. 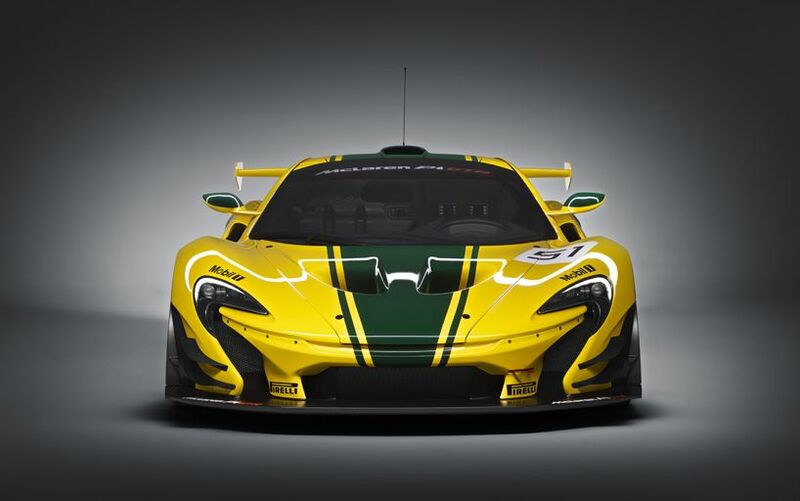 The McLaren P1 GTR ™<<lol (hope I don't forget any™'s ) combines a 3.8 liter twin-turbo V8 petrol engine with a lightweight electric motor to produce 789 bhp-- coupled with the electric drivetrain generator’s 197 bhp brings its competitors a combined 986hp of agony .The powertrain has been thoroughly revised for the highest level of racing capability, with the addition of motorsport-developed parts that are more suited to the speeds that the vehicle will drive at. You could call them a specialist in the art of going fastalot but that would be a huge understatement. 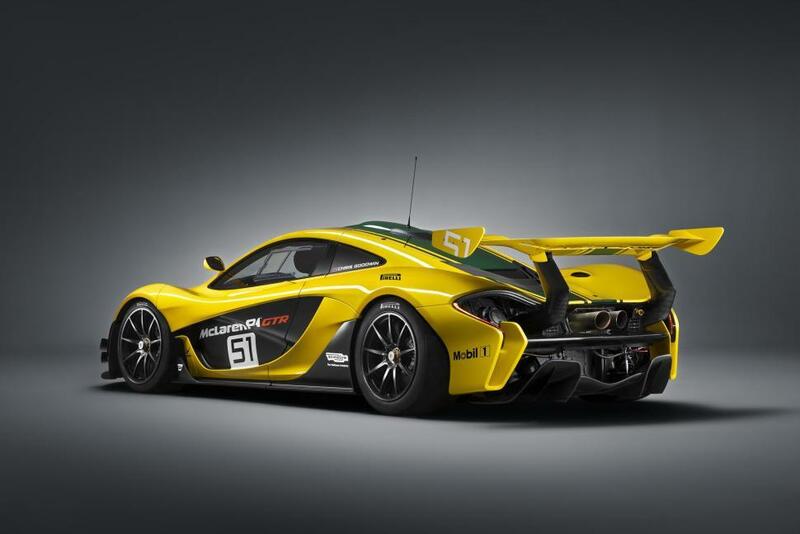 You're looking at the fastest McLaren ever... the 986-horsepower, track-only, $3 million P1 GTR. Never one to be one-upped by the likes of fellow F1 manufacturer Ferrari, McLaren is at it with their own version of a track-only super-hypercar. A carbon fiber hybrid beast that is legal to drive on the road anywhere in the world. 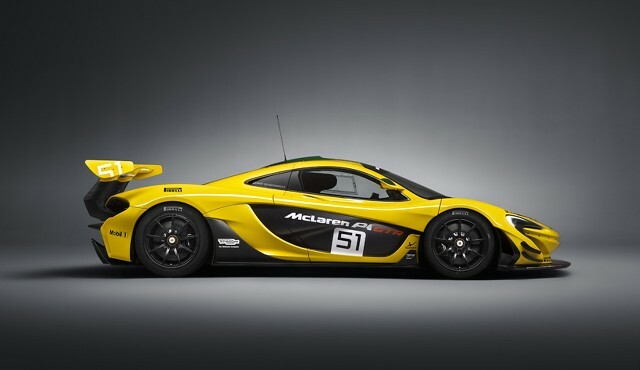 The fastest street legal Mclaren. EVER. It will, however, happily go around a track all day. While the GTR is down on power compared to the Ferrari FXX K, it should weigh a chunk less, shaving over 100-pounds from the standard P1. Couple that with all of the racing accoutrements, including a fashionably large wing at the rear, and you've got a car that will do 0-60 in well under 3-seconds and well over 200-mph top speed. Significant updates and modifications to the IPAS powertrain have been made beneath the carbon fibre bodywork. McLaren got so OCD about saving weight that they removed all glass panels in the car except for the windshield and replaced them with either carbon fiber or plastic. Take a peek inside. P1 GTR ™ racing-spec seats, a stripped-down interior, and a F1- like steering wheel with all the necessary gofastalot buttons on it. The lightweight windscreen from the McLaren P1™ road car, measuring just 3.2mm thick, has been retained, while the side windows are now motorsport-spec polycarbonate with a sliding window on the driver's side. The chemically toughened glass panels in the roof have been replaced with carbon fibre panels to give the cabin a more enclosed environment, as well as the engine bay cover. The big wing and massive center-mounted exhaust pipes are more than just for show. They give the P1 even more stability at extra-legal speeds and even spit flames! Another bold and differentiating feature at the rear are the large twin exhaust pipes, formed from an Inconel and titanium alloy. This system saves in excess of 6.5kg over the already light road-going system. McLaren has hidden an easter egg inside of the price tag. It's the P1 Driver Program, which gives you simulator training, a private garage and pit crew, and track time at 6 of the Formula 1 approved circuits around the world. When you look at all the beanies, it doesn't sound like such a bad deal at all, eh?